I often find that at the end of a busy weekend, often involving cooking/baking, rehearsals and all the household chores that need to be done, I just want something simply like egg and chips or similar for dinner. This is a great dish for those nights. 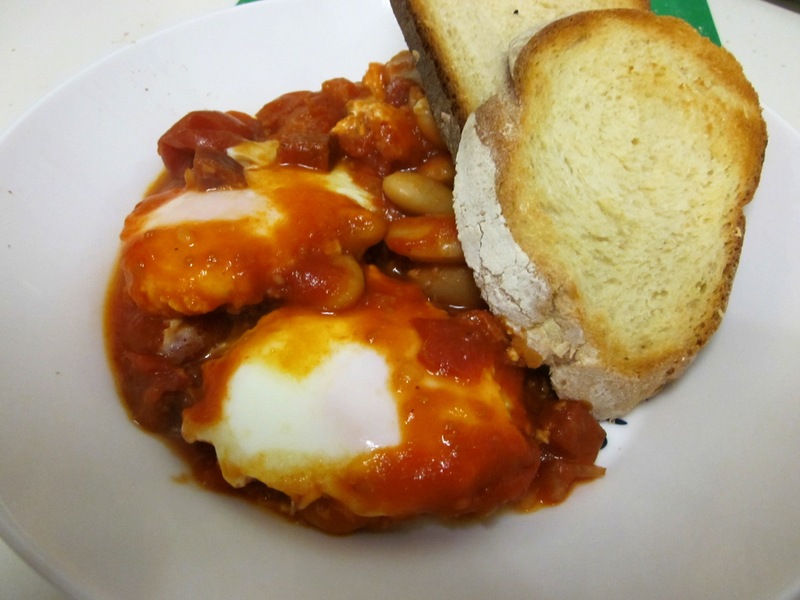 It is really simple and quick to make, but has heaps of flavour and with the addition of the beans is very filling. It would also be great for breakfast/brunch as well. Using chorizo is a great “cheat” to get a heap of flavour without having to add spices to it. These recipes often have capsicum in them, however I don’t actually like capsicum so I have left it out, but you could add it in with the chorizo if you wanted to use it.